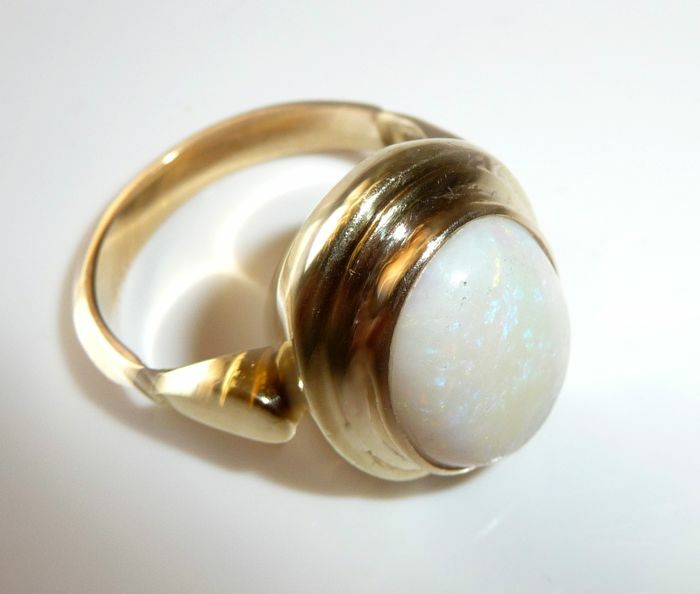 Ring in solid 14 kt / 585 gold. 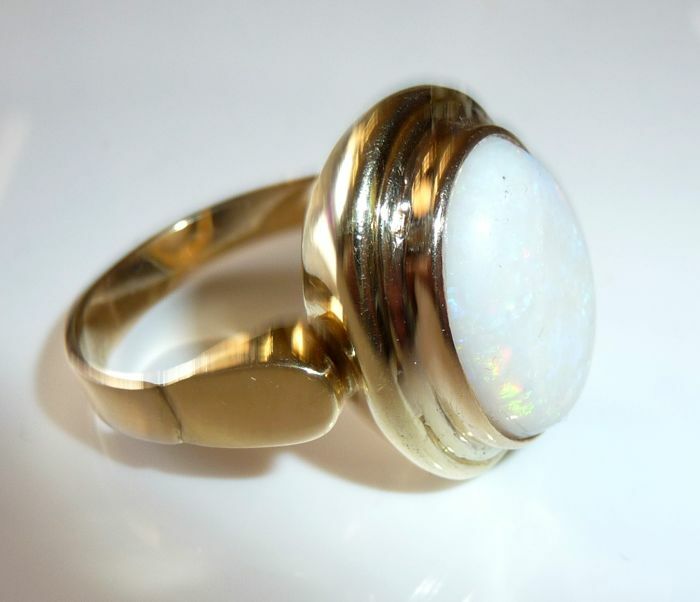 The ring was handmade by a goldsmith. 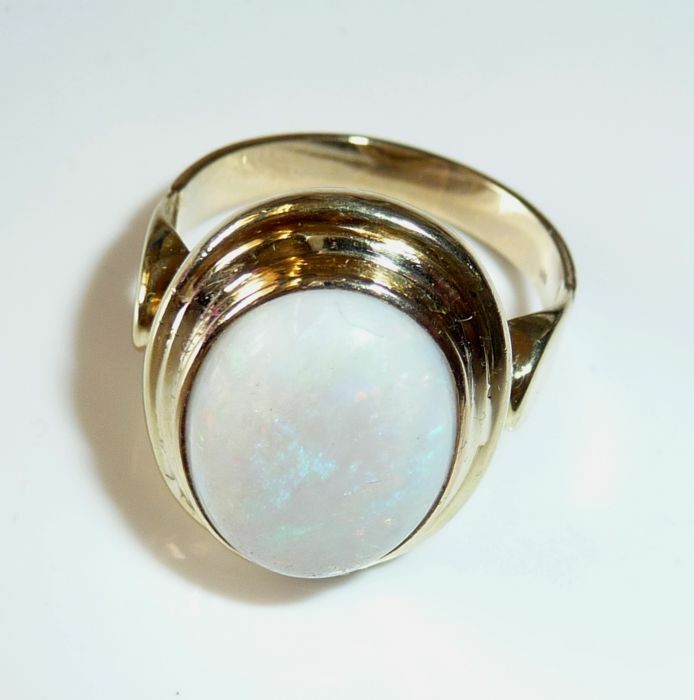 The oval staggered ring head is set with an approx. 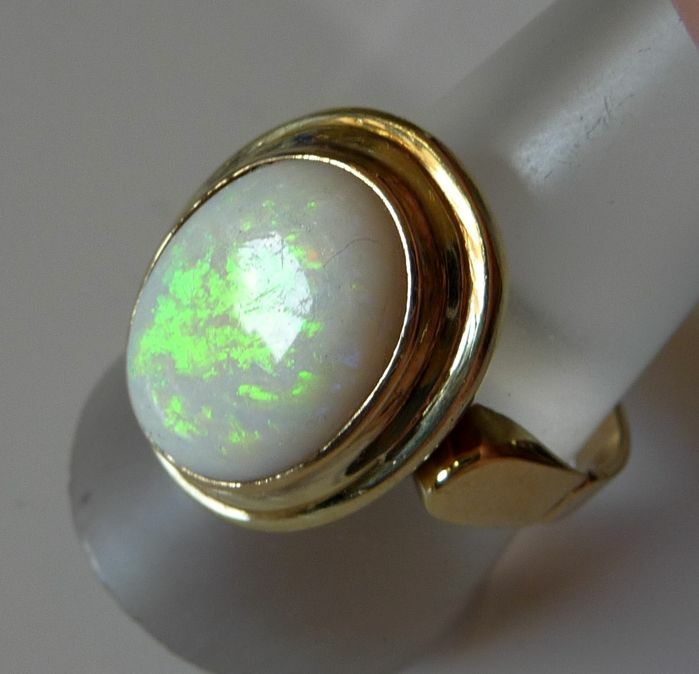 4.5 ct solid opal from Austria. 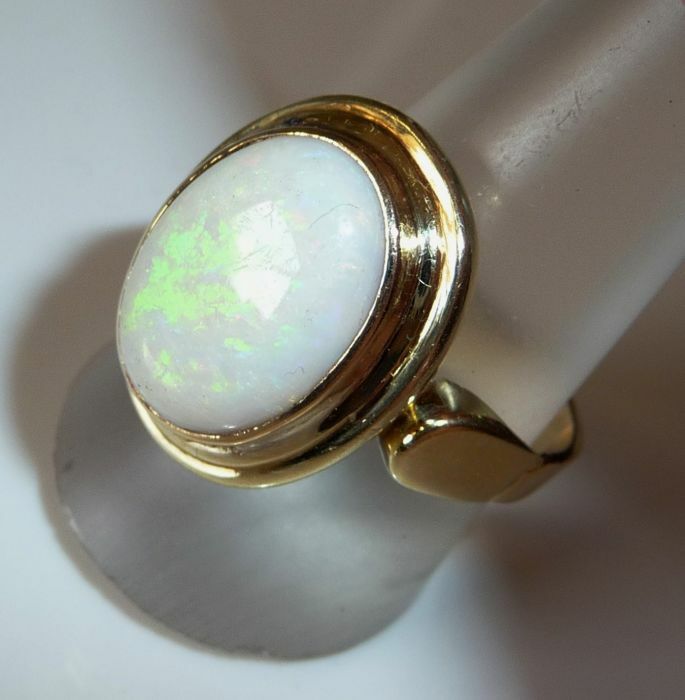 The opal, with a milky white base colour, has a beautiful play of colour under its surface. 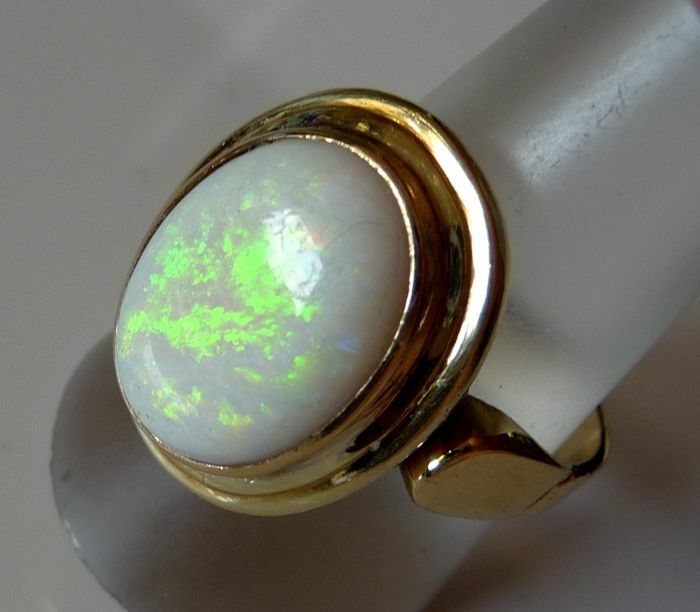 On the one hand there are numerous coloured spots (pinfire) in the colours yellow, orange and electric green and on the other hand at certain angles the opal has a very flat broad layer in green - see photos. 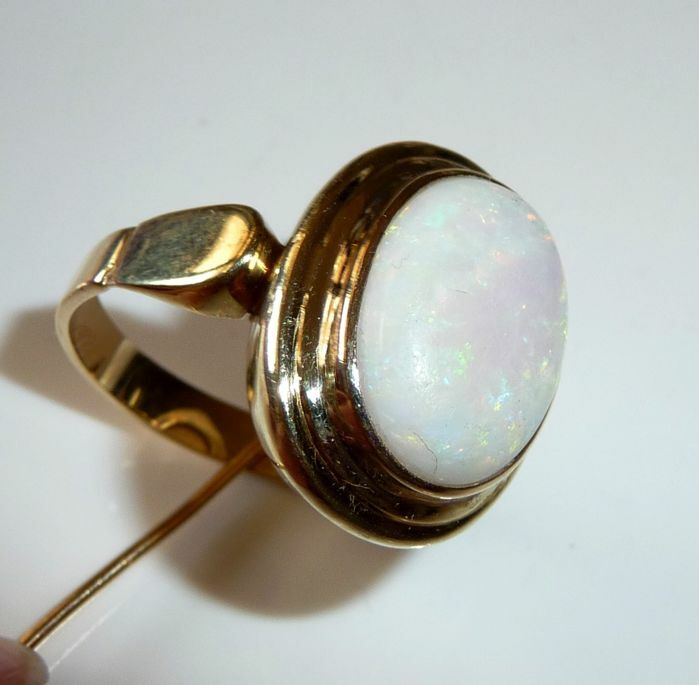 An interesting gemstone and above all a natural solid opal through and through (no triplets!). 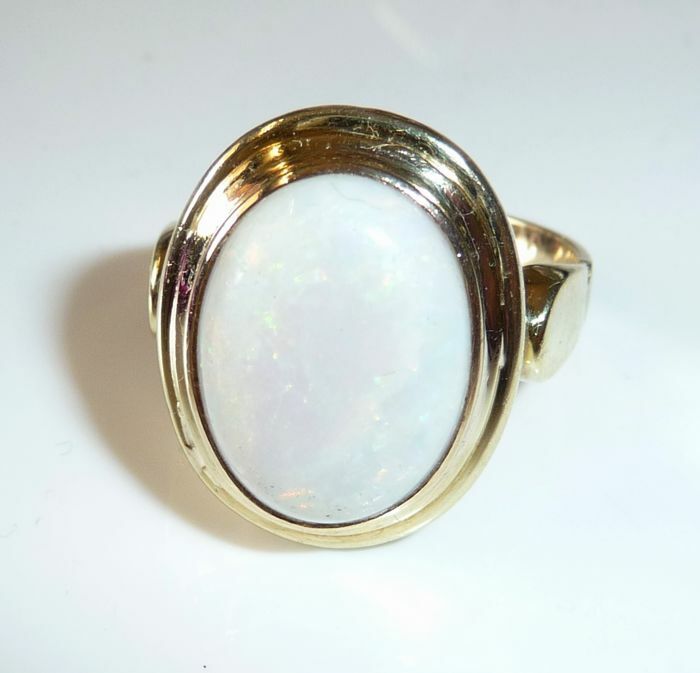 In addition it is from Australia, where such large opals have become rare and sought-after collector's items for experts. 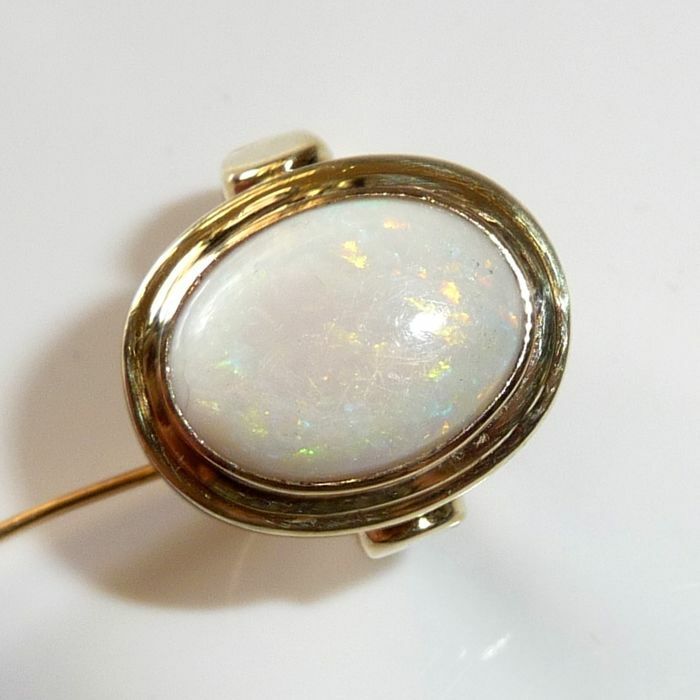 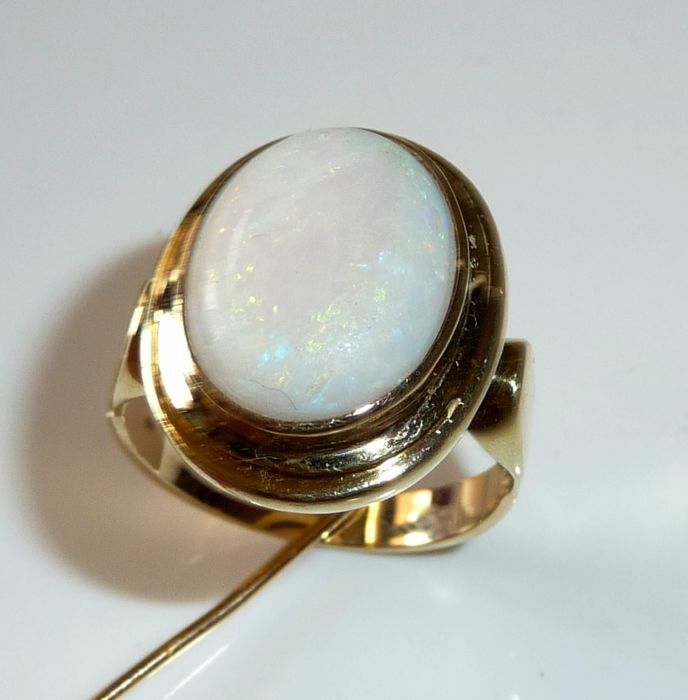 Dimensions of the opal are approx. 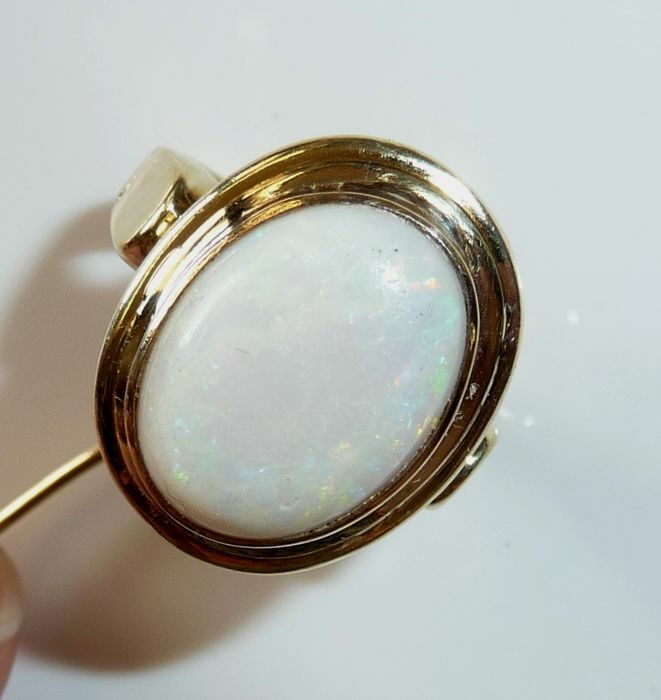 16 x 12 x 4.5 mm. 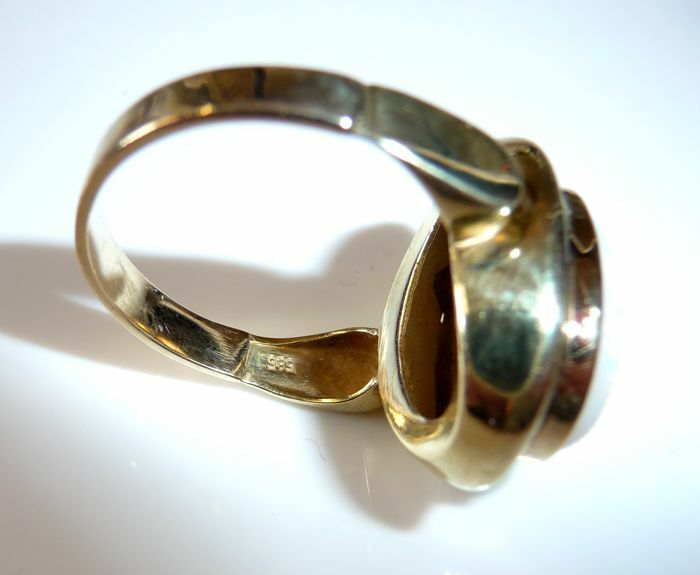 Dimensions of the ring head 21.2 mm and perpendicular to that 17 mm. 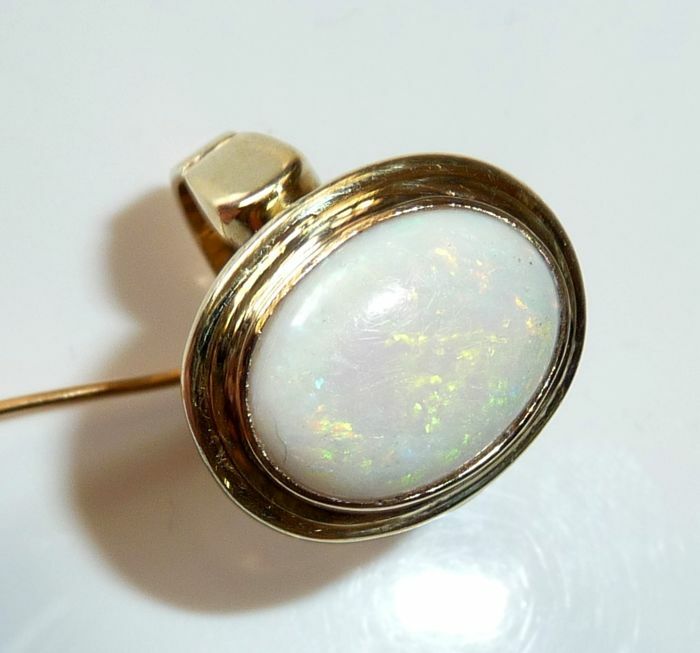 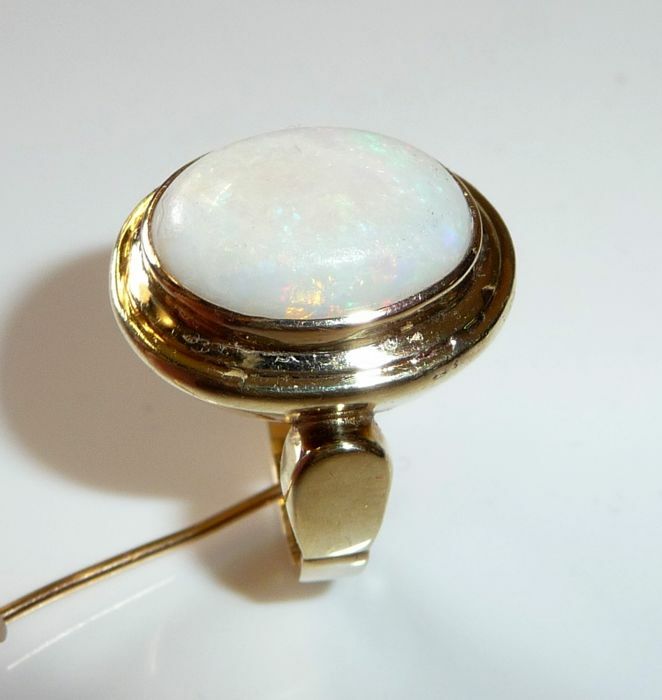 The opal is of natural origin completely untreated. 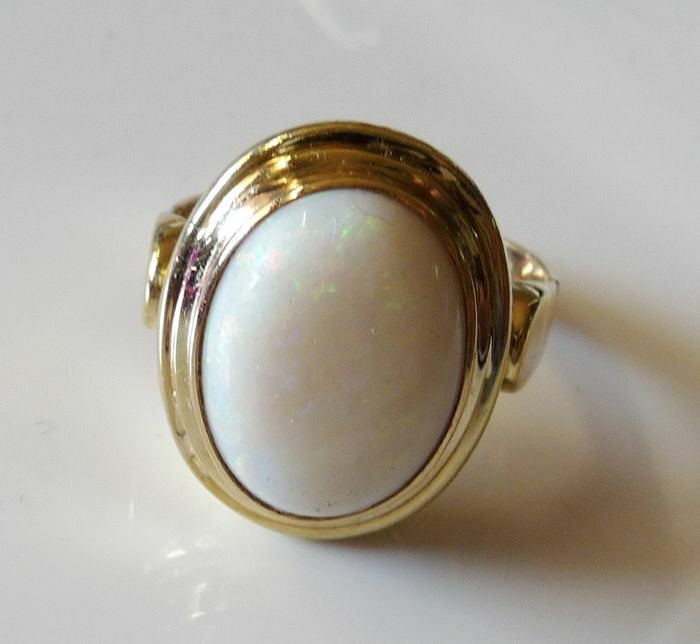 Ring size 62 / 19.7 mm - adjustable via us up to size 65 and every smaller size for 20 euro. 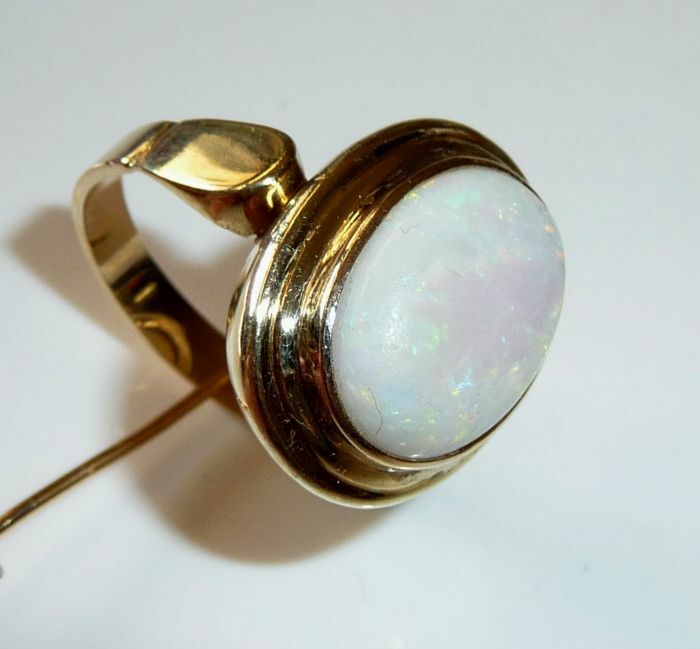 Size adjustment please tell us immediately by email with the payment. 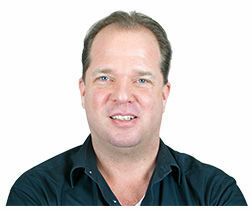 Insured shipping with DHL/DPD or as an insured letter / registered mail.